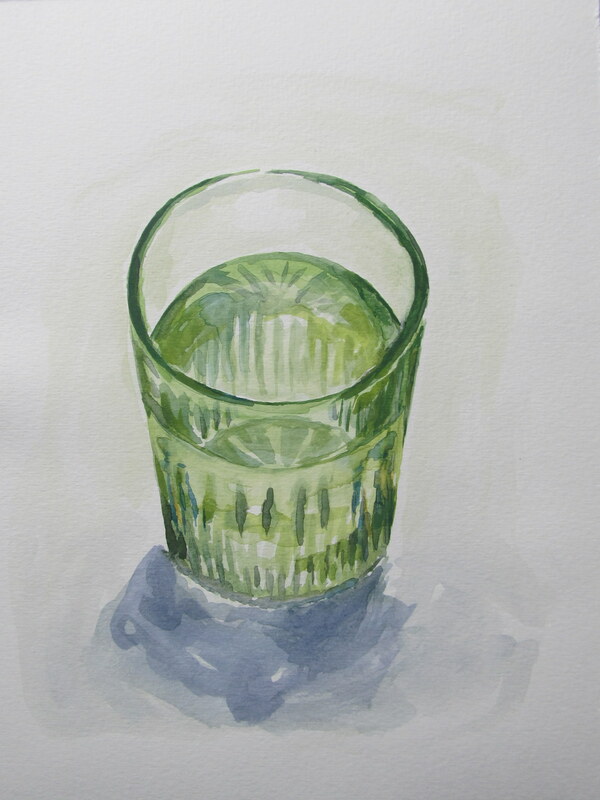 Watercolour Wednesday — Green Glass study. A study of a glass that I did at the downtown studio on Sunday. I kind of messed up the rim on the right side of the glass, but I guess this will be another one that I will need to try painting again. It was a great session this Sunday — everyone was there and there was some really good energy. I had a lot of fun. Since we’ve started getting together as a group we’ve had a few people leave and a couple new people have joined. There are eight of us now and I’m really excited about the group we’ve got going; we are starting to feel like a real group. ← Watercolour Wednesday — Grandma’s candy dish. Very nice! I like the colours in this one. And definitely good job on getting this done with everything going full gear! You got off on a rough start with this one, but turned out very nice in the end. So glad you stuck with it. I love the soft green and lavender colours on this one.